This was our first trip out by ourselves on our shiny new boat. 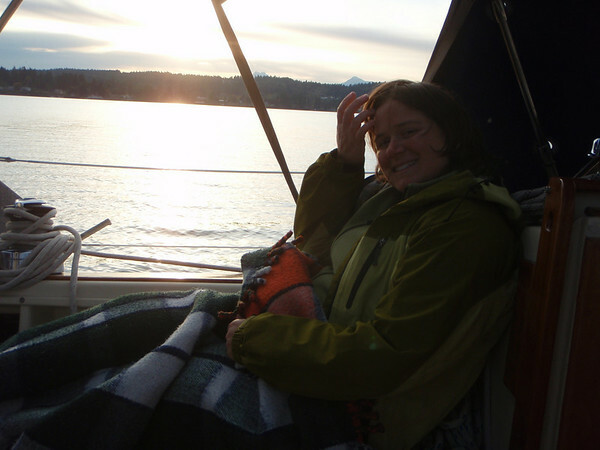 This was our first trip anchoring overnight in our shiny new boat. And. Christy's birthday. It was all and all, a festive weekend! 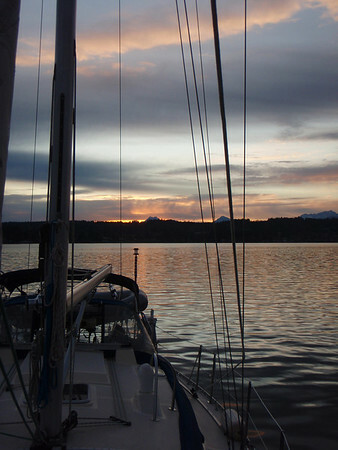 After an unknown problem with the main furler (turns out later it needed lubrication) and light winds, we motored over to Poulsbo to hang out for the night. We watched a beautiful sunset over Liberty Bay. This trip we discovered how cool it is to go places for a weekend and take your house with you. 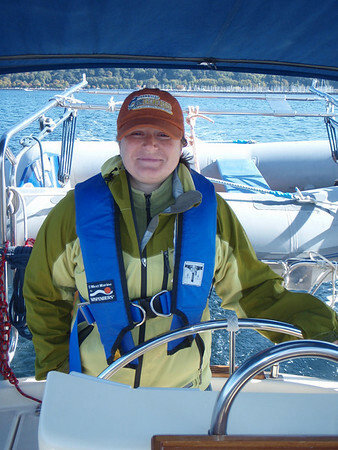 Christy steering out of Shilshole. Reading before the sun went down.